I was raised in Florida with 4 brothers and one sister. I was introduced to Audiology while serving in the US Navy during the Vietnam conflict. After discharge from the Navy I returned to the University of South Florida where I earned my audiology masters degree in 1975. Since then I’ve served in a variety of environments including nonprofit clinics, manufacturing, hospitals, doctors’ offices and private practice. I returned to the Tampa Bay area in 1982 and started Gardner Audiology. My passion for audiology comes from the great pleasure I receive from helping people hear. Our employees and patients are my extended family. I also enjoy kayaking, airplanes, bicycling, photography, and exotic birds. My wife Jacki and I have one daughter and 3 grandchildren. 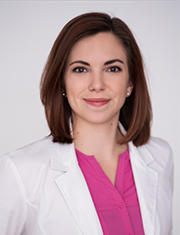 Dr. Angela Schenk is originally from Greenwood, IN and attended Purdue University, graduating with a bachelor’s degree in Communications Disorders. She received her Master’s Degree in Audiology from The University of Tennessee-Knoxville. She moved to Florida following graduate school in search of warmer climates. She worked for a large Ear, Nose and Throat practice in Tallahassee for seven years. During that time, she married and earned her Doctor of Audiology (AuD) degree from A.T. Still University. She and her husband set out for adventure and moved to Reno, NV. In that time, she worked for a small private practice. Dr. Schenk and her husband welcomed two children while in Reno. Both children, Alex and Nick wear hearing aids. Deciding the cold mountains were too much, Dr. Schenk and her family moved back to Florida in July 2012. Dr. Schenk is a Florida licensed Audiologist, a member of the American Academy of Audiology, the Florida Academy of Audiology, the American Speech-Language-Hearing Association and is Board Certified in Audiology with the American Board of Audiology. In her spare time, she enjoys reading, spending time with family and friends and travelling. Hi I’m Les Bush, the new Doctor Liaison at Gardner Audiology. I have been in the hearing business since 2007 and wouldn’t change what I’ve been doing for anything! In 2010 I opened my own offices formerly known as HearMore Solutions. I am proud to be joining my offices with the Gardner Audiology team. I attended Southern Illinois University at Edwardsville. I am licensed in the state of Florida in the hearing industry. I moved to Citrus County, Fl in 1994 with my wonderful husband, Jeremy. We have two awesome sons, a wonderful daughter in law and one spectacular granddaughter. Traveling and seeing the world along with spending time with my 3 legged deaf dog, Norwood, and his partner in crime, Nena are my passion! Hi! My name is Lauren Benoit and I am a fourth year audiology extern from the University of Connecticut. Born and raised in CT, I found my way to Florida where I earned my bachelor’s degree in Communication Sciences and Disorders from the University of South Florida. After heading back home for Graduate school, I have once again found myself in Florida where I am completing my final year here at Gardner Audiology. Through my various clinical rotations at UConn, I have gained diverse experiences with primary interests in hearing aids and balance testing. I am excited to be a part of the Gardner Audiology team this year where I have the opportunity to refine my skills while striving to improve quality of life through hearing health. In my spare time, I enjoy cuddling with my cat (who is Deaf), playing games, and lounging by the pool. My name is Valerie Schiavo and I am a fourth-year audiology extern from the University of South Florida (USF). I also received my Bachelor’s degree in Biomedical Sciences with a minor in Public Health from USF. I have always been interested in science and medicine and was introduced to audiology through my mother who is a Speech-Language Pathologist. Through the doctoral program at USF, I have had opportunities to work with a wide variety of patients in many different settings. I love being able to help people communicate and I am very grateful to be spending the year at Gardner Audiology where everyone is equally passionate about patient care. When I am not working, I enjoy spending time with my two beautiful daughters, Anola and Aiva, and my wonderful fiancé Michael. Hello! My name is Camilla Czulada and I am a fourth-year audiology extern from the University of South Florida (USF). I was born and raised in Sinking Spring, Pennsylvania. In 2016, I received a Bachelor’s degree in Communication Sciences and Disorders from James Madison University. Shortly after graduation, I relocated to sunny, Tampa to pursue a doctorate in Audiology. While at USF, I completed a doctoral research project studying the value of reusable learning objects for caregivers of hearing aid users. After gaining clinical experience at the University of South Florida and various sites in the greater Tampa area I developed a specific interest in diagnostics and hearing aids for all ages. I am excited to have the opportunity to get to know the patients of Gardner Audiology and I am proud to be a part of such a dedicated group of professionals! In my spare time, I enjoy swimming, spending time outdoors, and trying new restaurants in Tampa with my boyfriend. Hi! My name is Blair and I’m the Practice Administrator at Gardner Audiology. I was previously the Practice Administrator of Alvarez Audiology & Hearing. I have a BS in Psychology but have worked in medical administration since 2005. I love working for a team who dedicates their time to helping others, and we all share a true passion for providing our patients the best possible care. I have seen better hearing improve someone’s quality of life, and I’m proud to be part of that! I am a born & raised Floridian; I grew up in Cape Coral. In my free time, my husband and I love trying new restaurants and exploring new places! We have Lightning season tickets and are huge hockey fans (Go Bolts!) I also maintain my own lifestyle & fashion blog. I’m a Floridian, born and raised in Tampa. I am a graduate of the University of South Florida with a Bachelor of Science in Management Information Systems. I work in the Tampa/Citrus Park office of Gardner Audiology. I have an amazing husband and 2 boys. The boys keep me busy with high school sports, karate and boy scouts. For fun, I enjoy spending time with my family and friends, reading, watching movies, kayaking, any outdoor activity and running. I’ve run 8 incredible marathons including New York City and Chicago. I was born and raised in Tampa, FL. I have 3 grown children and 3 grandbabies, whom I love to spend as much time with as I can, in my spare time I like reading, watching movies, and gardening. I have been with Gardner Audiology since 2007. Hi, my name is Wendylynn Capote. I am an Audiology Assistant here at Gardner Audiology. I am originally from Miami, Florida; I moved to North Carolina to obtain my Bachelor’s Degree in Communication Sciences and Disorders from The University of North Carolina at Greensboro. I am currently working towards my goal to go back to school to become an Audiologist. After graduating from UNCG my boyfriend and I moved back to our home state Florida. On my free time I like to spend time with my family, my dogs Lou and Dozer and explore all the beautiful destinations Florida has to offer. Hi, my name is Jennifer McCreary. I have been the Office Manager at Gardner Audiology since 2005. I also handle all of the insurance billing.The staff & the patients are all like family. We are always sharing smiles, laughs and hugs, while helping our patients hear better. I am married and have been blessed with 4 wonderful children, ranging from college to elementary age. As you can imagine, I stay very busy! They are all active in many sports. When I am not working or taking kids to practice or games, I enjoy travelling with my family. Whether it is to 1 of Florida’s many beautiful beaches or crystal clear cold springs or to the mountains in North Carolina, Virgina, Tennesee or Colorado. I also enjoy theme parks as I am a roller coast/thrill ride junkie! Hi there! I’m Crystal, an Audiology Assistant in the Crystal River location. I truly enjoy the day to day interaction with our patients, and love seeing them leave our office with a big smile on their face! It is my passion to help others. In my spare time I enjoy trying new restaurants with my husband, playing with my two dogs, watching football and cooking fabulous meals! I’m so happy to have become a part of Team Gardner and look forward to the wonderful things to come! Hi. My name is Leslie and I am the Patient Care Coordinator at Gardner Audiology. I am “the face” behind the voice you hear on your phone reminding you of your appointments and usually the first one you see when you come into our office. I have been here since 2011. Through these past years, I have learned many new things and met lots of incredible people!! I am the proud Mother of an amazing son and daughter, a dog and 2 fish. The thing that I love to do the most in my free time is cooking!! I love to bake different delicious creations to share with my friends, our patients, their families and anyone who comes in that wants to try a treat! I have worked in healthcare all of my life and am thankful for where I am today!! Hi, my name is Yesenia Garcia, I’m the Patient Care Coordinator for the Hillsborough & Pinellas locations! I am originally from Lawrence, Ma. My family and I moved down to Cape Coral, Florida in 2001. We’ve been loving the sunshine here ever since! In 2015 my fiancé and I decided to relocate to the Tampa Bay area, where we are raising our children Marisa, Jr., and Roman. In my spare time I enjoy reading books, doing arts and crafts with the kids, and going to the beach with the family. Hi my name is Renee’ Steiger. I am originally from Long Island, NY. I relocated to Florida with my husband more than 30 years ago and now call Florida home. I have worked the last four years at HearMore Solutions, for Leslie Bush, as her Office Manager / Patient Care Coordinator. I am excited to be joining the Gardner Audiology Team as the Patient Care Coordinator for the Spring Hill location. I love working hand in hand with patients and helping them get the most out of hearing better. I have a wonderful daughter and son in law who have blessed my husband and me with 3 beautiful grandchildren; life just keeps getting better! During my off time, I love being with family. Sun, sand, and ocean….that’s my happy place! Hi! I’m Chantay, the Patient Care Coordinator in the Zephyrhills location. I also check the insurance benefits of patients in all our locations. I grew up in Upstate New York near the Finger Lakes Region, but have been a “southerner” for the past 10 years and counting. I enjoy home decorating projects and trying new recipes. When I am not working, I like to spend time traveling to different beaches all around Florida, and spending time with my son. I enjoy listening to people’s stories and learning new things, which fits nicely with my active pursuit in a Psychology degree at Polk State College. I am fairly new to Gardner Audiology but it seems like I have been a part of this work family for much longer, and the patients surely have welcomed me with open arms. In the future I hope to never move again, own a Tacoma, and visit every beach there is in Florida before I retire. Hi, my name is Sherry . I was raised in Pinellas County, but I have lived in Citrus County for 30 years. I married my high school sweetheart in 1970 and together we have 3 children; 2 daughters and 1 son, along with 5 grandchildren and 1 great grandchild. My passions in life, other than my family are gardening, antiques, and woodworking. I’ve worked several jobs in my life, but the last 6 years have been with Hear More Solutions. I’m looking forward to meeting everyone, and working with Gardner Audiology!